That sentence, or words to that effect have come out of my mouth at almost every show I’ve seen this year, from the Canberra at Abingdon, right through to the DH88 Comet and Mew Gulls at Old Warden. I can’t recall a season where it has been so hard to pick out one highlight. In past years I could more or less tell you my top display from the respective seasons and easily pin point my favourite act. 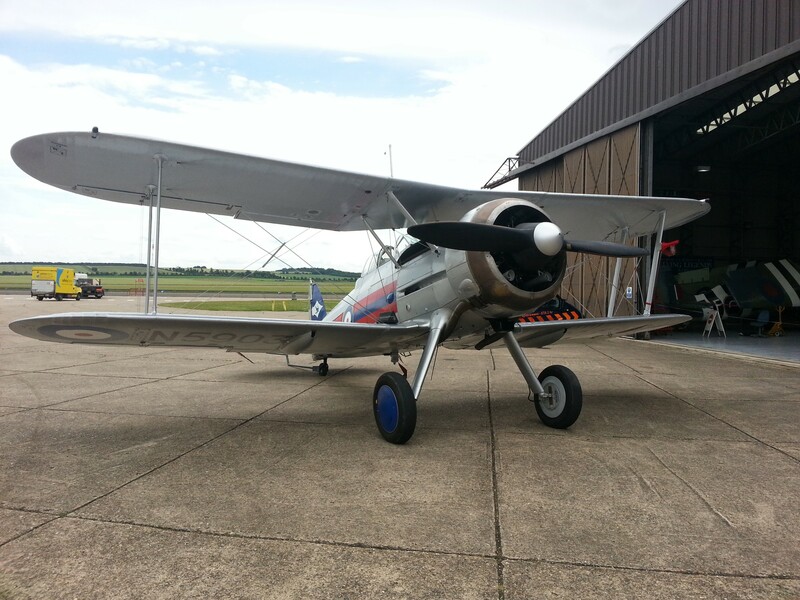 The Fighter Collections Gladiator had a busy season this year, with a number of displays away from Duxford. 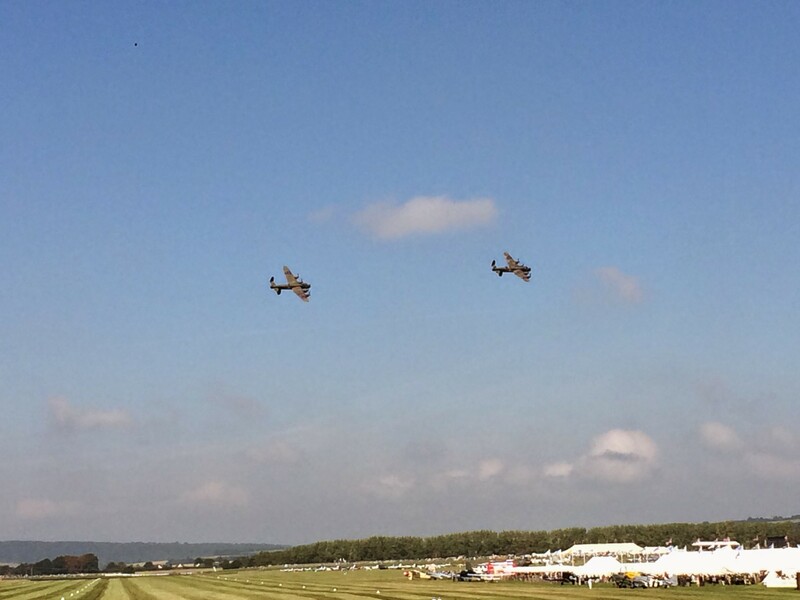 Usually, I’ll admit, Flying Legends is my top show of the year; I rarely have to think about it. Yet this year I find myself looking back and its all a little less clear in my mind. That isn’t to say that the Duxford show wasn’t up to scratch, despite the huge effect the weather had on the show it still stands as one of the strongest Legends line ups in a long while, any show featuring Nick Greys Gladiator routine is going to climb up the rankings. 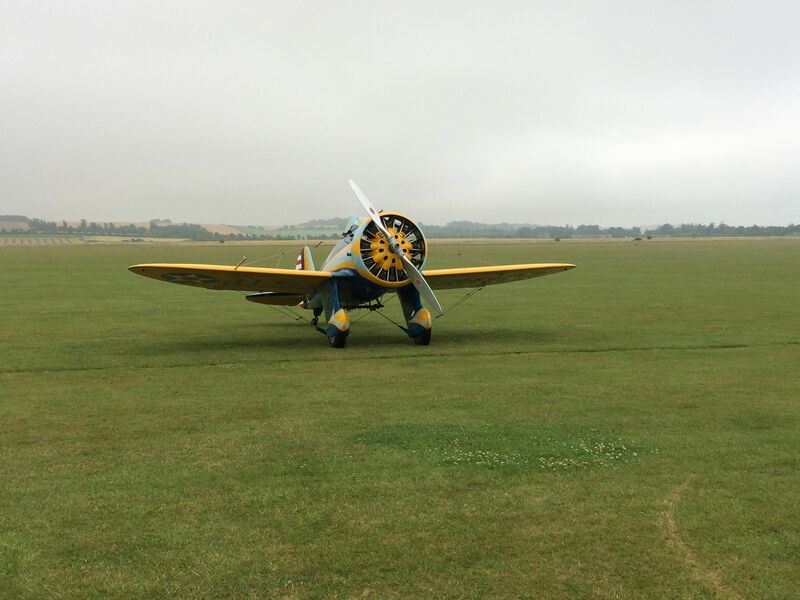 P-26 Peashooter at Duxford, one of the many unique stars of this years airshows. The reason things were a little cloudy this year was that other venues massively upped their game; another that sticks out to me this year is Shoreham. With Rod Dean now firmly at the helm the historic participation has really stepped up, securing so many Fighter Collection aircraft outside of Duxford was certainly a coup for the show! The D-day scenario was remarkable as well, I could go on but I’ll save it for future airshow moments. Dakota D-Day Tribute at Duxford in May. 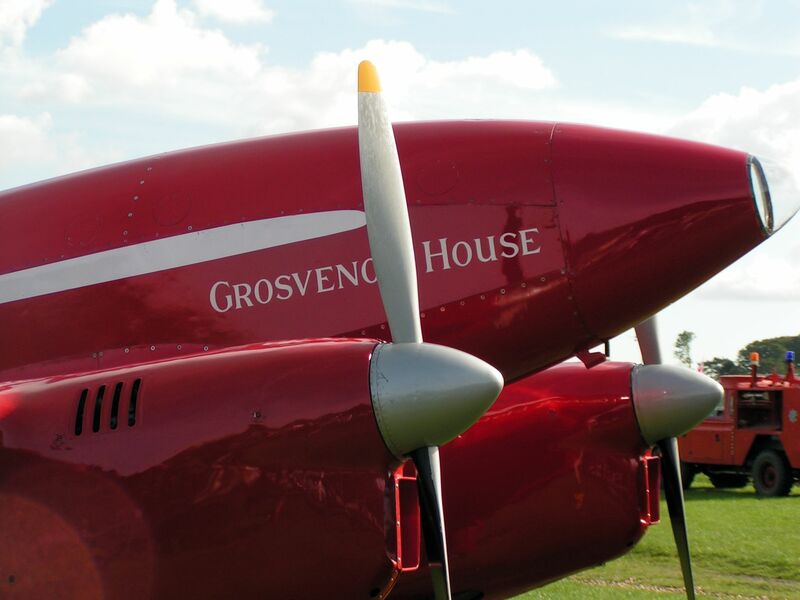 Of course the Jewel in the crown of British airshow venues, Old Warden, really had an impressive finish to the season. As always I kept putting off going to an Old Warden show based on weather and line up, but as soon as the Comet was announced I knew it was time to make the trip. The Pageant and race day airshows are easily among the best I have seen in my lifetime, with the Comet being the icing on the cake. 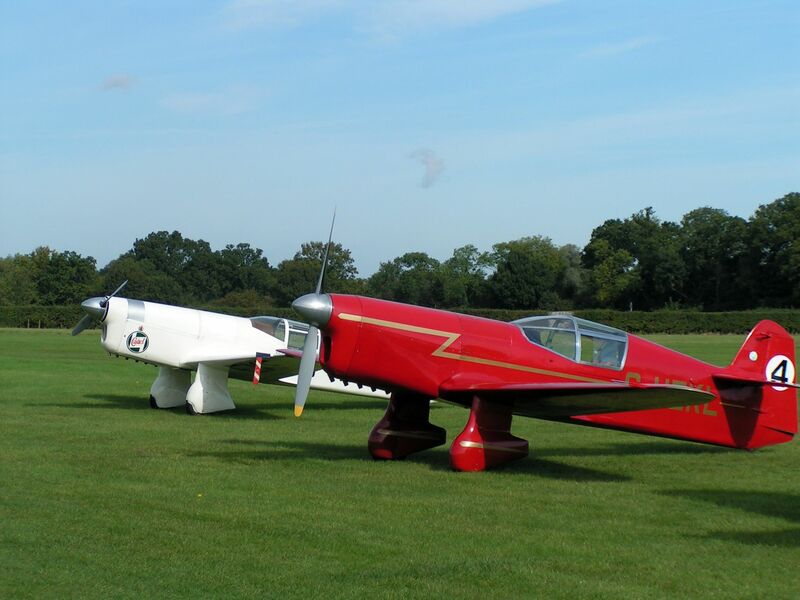 The Mew Gull Pair at Shuttleworth’s Race Day Airshow. I’ve merely brushed the surface here, with other shows such as Dunsfold, Duxford in May, Eastbourne and surprisingly even Farnborough gave a much stronger showing than recent versions of the show. The most impressive thing this year is how busy all of the shows have been, this year seems to have got the general public coming out again and again to shows. There are a number of reasons for this of course, the Red Arrows in their 50th year still have as much pull, if not more than they always have. Then there is the infamous “Vulcan effect,” no doubt boosted by the calls of it being its second to last season on the circuit. It would be wrong to say these two acts alone were pulling the public in, but it certainly seems that way; you only have to watch the hundreds of people leaving once these acts have displayed. The two Lancs at Goodwood. Its hard to believe I’ve got this far into a post about the 2014 season without mentioning the historic Lancaster Tour, which in many ways provided the Hat-trick for airshow organisers in terms of guaranteed bumper crowds. Nearly every show that had the two aircraft reported bumper crowds, as I’ve said before I’ve never seen anything quite like the massive public reaction these two aircraft have. Its not often I feel I’m sharing this hobby with most of the country. You would like to think then, that having gone along to see the Lancasters, or the Vulcan, or the Red Arrows that at least a few of those first timers will come back next year and help keep these great events running and growing. 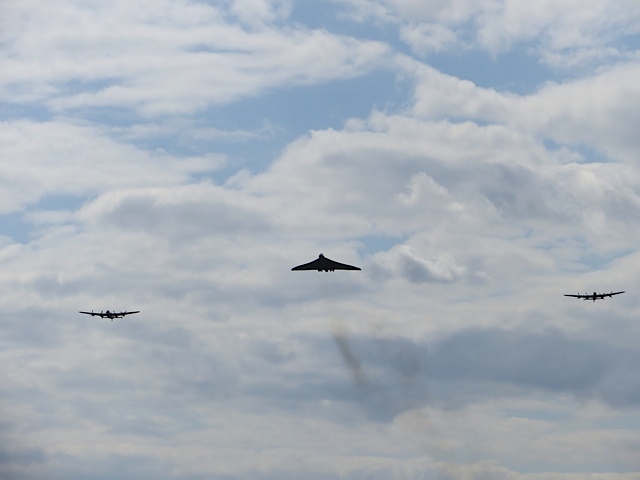 The Vulcan with both Lancasters was certainly something to remember. I may be turning a blind eye to some great moments from the past, but I can’t think of another airshow season that has had so many “I was there” moments. I haven’t even got round to mentioning all the moments where I personally wasn’t. In fact I can’t recall a better airshow season in the last decade in terms of sheer quality of acts. Having the two Lancasters and the DH88 return to the skies is one thing, but to have everything else fall into place as well, that’s something special. Well I’m going to write a number of posts looking forward to next season, but we should see the return of the Bristol Blenheim, which is currently undertaking engine runs, hopefully flying soon after over a decade off the circuit. It will be the last season, in theory of the Vulcan, so no doubt there will be some emotional and unique farewell celebrations for that aircraft, and with that of course, even larger crowds. The fact for me, that may just make next season even better is the prospect of the 70th anniversary of VE Day and the 75th anniversary of the Battle Of Britain, with so many airshows having good form for these celebrations it truly could be another year to remember! 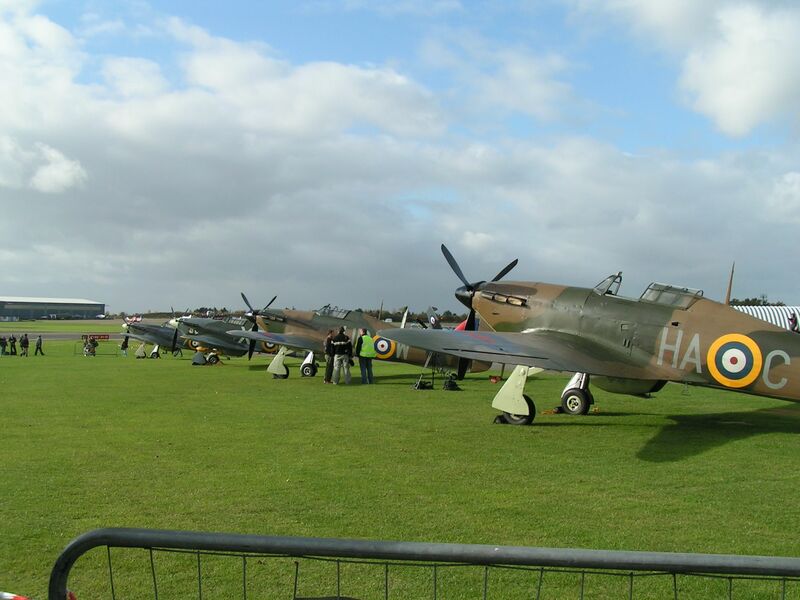 Hopefully 2015 will bring another Hurricane gathering, like this one at North Weald. 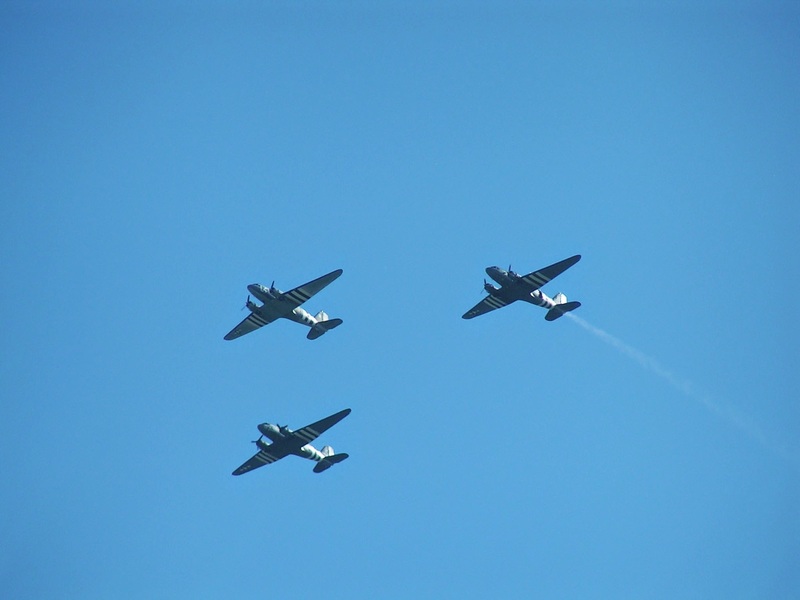 As usual don’t forget to Follow Warbird Tails on Facebook and Twitter for more updates as posts go up.